But it's a quarterback league. And there will be plenty of quarterback drama between now and when the Bills are ready to be on the clock the night of April 25. They obviously don't need a quarterback. 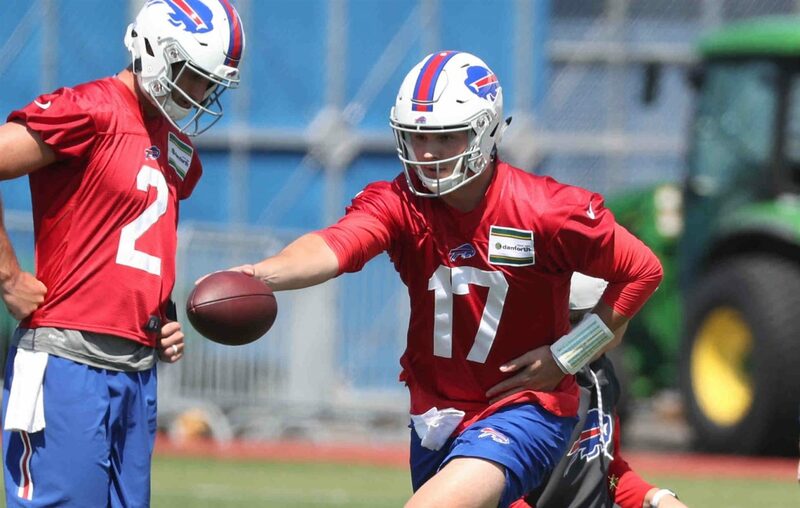 Josh Allen is the quarterback of the future and Derek Anderson and Matt Barkley are adequate veteran backups. So how does QB hold the key? A lot depends on what happens in front of the Bills. If Murray indeed goes No. 1 and the Giants, at No. 6, take Dwayne Haskins or Drew Lock, there are a few teams behind Buffalo that may want to move up and get whichever of those two is still on the board. That would allow Brandon Beane to add assets and still take a player the Bills want and need. Still, some of those teams (cough, Miami) might wait it out and "Tank for Tua." Our QB preview from Mark Gaughan talks about the potential drama, ranks the Top 10 QBs and mentions a few locals who could have their names called after Day 1. Swept up by gratitude, Pancho Billa ponders Stevie Johnson's offer: In treatment for stage 4 cancer at a Houston hospital, Ezra Castro, better known as super Bills fan Pancho Billa, heard the news that Stevie Johnson offered to have him replace Johnson as the honorary announcer of Buffalo's third draft pick. If he accepts, Castro says he'll be doing it for others who are in similar situations. Assessing Brandon Beane's first-round options: They could trade up. They could trade down. They could make their pick at No. 9 and there's a few players there that would make sense. The Bills have a lot of options in front of them at the NFL Draft. Jay Skurski's latest mailbag answered a lot of questions about the draft.